Here at Stylin Strings Lacrosse we are always searching for original designs that actually work. 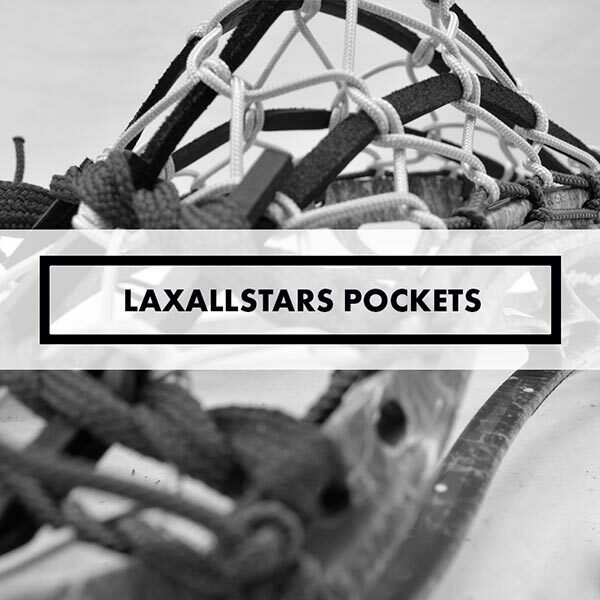 Our newest pockets have been designed by Lacrosse Allstars. Connor Wilson is a student of the game. Being the lead guy at Lacrosse Allstars gives him insight to the issues modern players face, and he designs traditional pockets with these issues in mind. The College legal 6 box traditional lacrosse pocket and the college legal pita pocket meet all NCAA specifications. The Reinforced pita pocket features stronger knots to stop the pocket from shifting. The reinforced 6 box has stronger knots at every hitch point, and utilizes sidewall over weaker strings like cross lace.